Welcome aboard this spacious 2015 Fountaine Pajot crewed catamaran designed for vacationing! After a 2018 refit, this yacht is even more ready to host your charter group. Enjoy the integrated indoor and outdoor living spaces while you sail through the Caribbean. You'll find many areas to relax including the shaded cockpit, bikini lounge, forward deck seating, and trampolines. This boat features 4 guest cabins with en-suite bathrooms for your group. $100 discount off the weekly rate per child under 12 years of age. Available now through 31 Jul 2020. Confirm before 1 Jul 2020. Stand By One uses organic and local produce when available. Meet Captain Tyler and Charlotte, a dynamic team who will show you fun, relaxation and adventure aboard Stand by One. Whether it be a romantic getaway or a family gathering, Tyler and Charlotte have the dedication and experience to provide a week of amazing memories that will last for years to come. Captain Tyler and Charlotte are an energetic and enthusiastic crew who deliver a wonderful experience tailored for you. Be it relaxing with a cocktail and a good book on a sunset sail or free diving in isolated crystal-clear bays, this crew know how to take a week at sea and make it truly unforgettable. Contact us for rates and current availability or to book a charter aboard Stand By One! Stand By One offers guests 2 Queens, 2 Doubles en-suite cabins with A/C. Best for 3 couples or groups of up to 8 with children. Continental Breakfast is served every morning along with hot plate items, including local tropical fruits, cereals, yogurts, bread, juices and tea/coffee. Cinnamon Banana Pancake Stacks with Raspberry Coulis and Coconut Whip Cream, served with a side of Candied Maple Bacon. Hearty Shakshuka with Feta and Rucola accompanied by Warm Pita.... a bright, spicy start to the day! Eggs Royale on a Toasted English Muffin with Fresh Leaves. Made to Order Omelets with your choice of Fresh Vegetables and Cheeses. Healthy Acai Bowl with Fresh Berries, Homemade Granola, Coconut Flakes and Chia Seeds. Potato Hash Bake with Eggs and Sautéed Lardons - gluten free, paleo, and super crispy. Served with your choice of chilled white or rose wine, beer, soft drink or water. Panko Coated Chicken served over a bed of Chopped Salad, Baby Tomatoes and Parmesan Flakes. Shrimp Linguini in a White Wine Cream Sauce topped with Diced Chili and Spring Onion. Slow cooked BBQ Pulled Pork Sliders with Slaw and Herbed Potato Wedges. Soft Fish Tacos with Cilantro Lime Cream. Greek Gyros Chicken Wrap with Homemade Tzatziki. Enjoy with an afternoon cocktail of your choice or other chilled beverage. Served with Chef’s choice of wine pairing and chilled water. Seared Ahi Tuna laid over Crunchy Raw Asian Salad. Catch of the Day with Garlic Butter, Asparagus and Oven Roasted Potatoes. Steak with Mushroom Cream Sauce, Stuffed Baked Potatoes. Grilled Mahi Mahi Topped with Fresh Mango Kiwi Salsa over Coconut Rice. 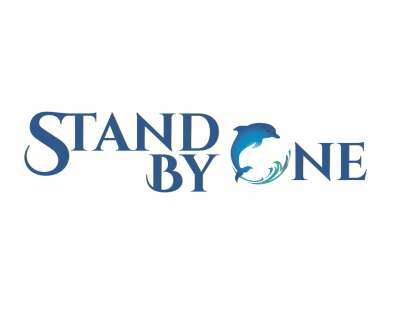 Interested in Stand By One?